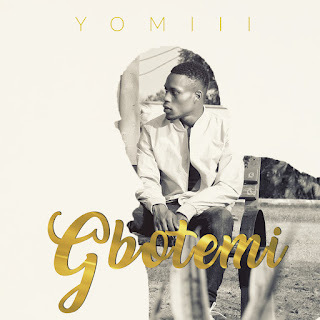 From the groovy beat, to the sensational vocals, Gbotemi is a song that appeals to men that are trying to shoot their shots to them bautiful ladies out there. It's soothing vibe makes it an 'everyday listen' song that everyone would relate to. Adelekan oluwayomi aka Yomiii/4cheezy is an afro-fusion artist with a distinct sound. He started way back in 2010 with his rapping skills and recorded couple of records with his rap trio at that time. He later evolved into a solo artiste and began working on projects from 2012. He dropped his first hit off a project, #Astar 2014, and this song really made an impact on his brand and also enlarged his fan base. Fast forward to now, 4cheezy, who has now rebranded to Yomiii is back and better( after a 3year break) to deliver all he's been working on and to hypnotise everyone with his sensational afrofusion vibe. #Gbotemi is a single off his official project #Irealised. We're about to realise his potential fully. #Irealised.